Cognition, Language, Speech, Swallowing, Voice, etc. "How Sweet Are Your Words." MA, Pamela Rowe is a speech-language pathologist in Kissimmee, FL. 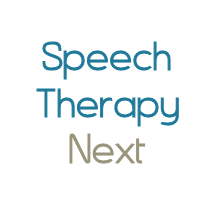 Practice Type: • Speech-Language Treatment Center/Clinic Practice Areas: • Speech Language Pathology • Speech Therapy Take the next step and contact MA, Pamela Rowe for a consultation in Kissimmee, FL or to get more information. Thomas Gibbons is a speech-language pathologist in Orlando, FL. Practice Type: • Speech Hearing Center/Clinic Practice Areas: • Speech Language Pathology • Fluency and fluency disorders Take the next step and contact Thomas Gibbons for a consultation in Orlando, FL or to get more information. Cheryl Hammond is a speech-language pathologist in Orlando, FL. Practice Type: • Home Health Agency - Client's Home Practice Areas: • Speech Language Pathology • Speech Therapy Take the next step and contact Cheryl Hammond for a consultation in Orlando, FL or to get more information. Gena Rizzitano is a speech-language pathologist in Celebration, FL. Practice Type: • Private Physician's Office Practice Areas: • Speech Language Pathology • Laryngectomy • Swallowing disorders • Voice Disorders Take the next step and contact Gena Rizzitano for a consultation in Celebration, FL or to get more information. Cynthia Berg is a speech-language pathologist in Orlando, FL. Practice Type: • Home Health Agency - Client's Home Practice Areas: • Speech Language Pathology • Speech Therapy Take the next step and contact Cynthia Berg for a consultation in Orlando, FL or to get more information. Timothy Kowalski is a speech-language pathologist in Orlando, FL. Practice Type: • Office Practice Areas: • Speech Language Pathology • Autism • Learning disabilities • SLP developmental disabilities Take the next step and contact Timothy Kowalski for a consultation in Orlando, FL or to get more information.